So, you’ve been looking to have a ton of fun with your whole bunch of friends this Halloween. But so far, it seems that your search for the perfect costume has been somewhat fruitless? We know this, because we’ve heard it through the old Halloween grapevine. In fact, we’ve heard that you have been more than a little bit wine-y about it. Well, before you run out of juice and get all sour grapes on us, just chill. We thought we’d pick out a costume for you that’s absolutely divine. One that’s a super duper sweet variety. Something that will end up being a big barrel of laughs that everyone will remember. 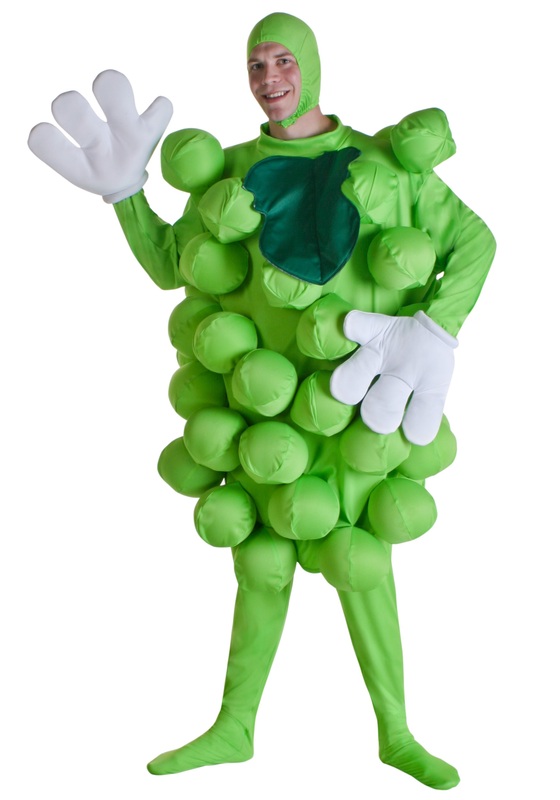 And the costume that we’ve produced is this: our green Seedless Grapes Costume. 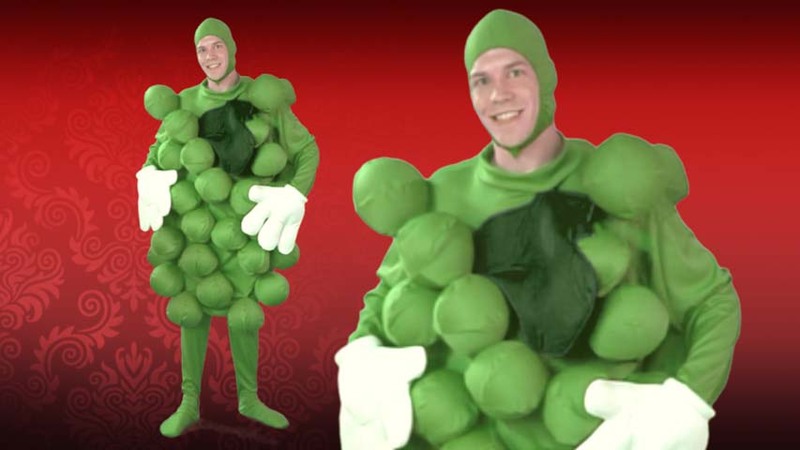 Here is what’s so totally grape about the costume. It’s fresh, green and the best of the bunch from stem to toe. In fact, it covers you from stem to toe! The full body costume comes with balloons that you blow up and hide in the slits of the green sacks attached to the costume, so you’ll look plump and delicious throughout the whole night long. To prove that you’re just picked guaranteed, there’s even a big green leaf right on the front. The matching, tight green cap fastens under your chin with Velcro to top off the whole fruity look. But be sure to take our advice: do not under any circumstances sit out in the sun too long – or you’ll be raisin heck later!